Day two at SOLIDWORKS World is all about the SOLIDWORKS community. From the SWUGN Awards to inspiring students, it’s a celebration of users from start to finish. We haven’t changed the user focus, but we are now letting users build fighting robots to decide the winner of the first ever SOLIDWORKS World Robo Rumble! The Robo Rumble is made possible from the National Robotics League (NRL). The NRL is a manufacturing workforce development program of the National Tooling & Machining Association (NTMA) where students design and build remote-controlled robots (Bots) to face off in a gladiator-style competition. So yeah, SWW17 is taking you to a Robo Thunderdome where two bots enter, one bot leaves. Through this hands-on effort along with industry partnerships, students gain practical knowledge of Science, Technology, Engineering, and Math (STEM) – all essential skills for manufacturing. They also get to make robots fight to the death, which is pretty much as cool as school can get. Further, the competition will be judged by robotics visionaries Marc DeVidts of Team Icewave and Double Robotics and Jonathan Tippett of Team Prosthesis. Since any great competition includes top-notch commentary and analysis from the pros, two BattleBots champions, Paul Ventigmiglia of Team BiteForce and Don Hutson of Team Lock-Jaw, are going to be on the mic calling play-by-play of the action. 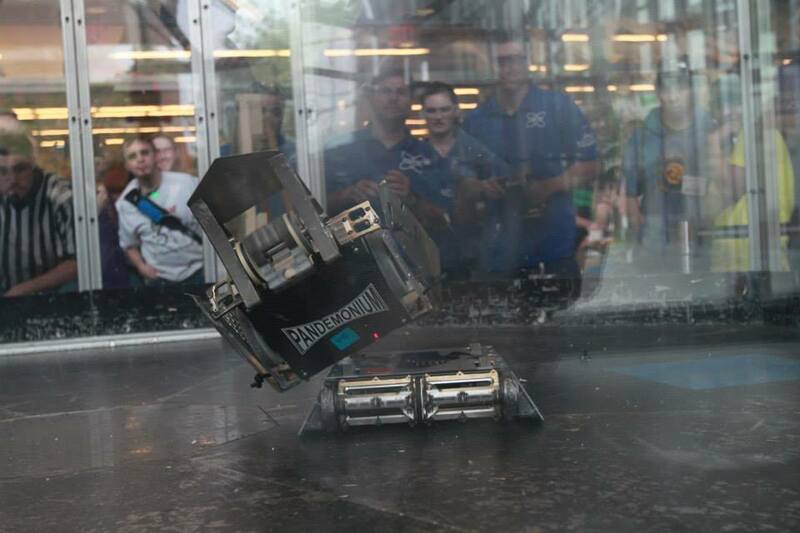 So get ready for the Robo Rumble on Tuesday, Tuesday, Tuesday, February 7th during day two of the general sessions. We’ll let you buy your entire seat, but you’ll only need the EDGE!!!! Not attending SOLIDWORKS World in Los Angeles? You can still see the battle live on the SWW17 webcast. Sign up for the live webcast today! Senior Manager Brand Offer Marketing, Dassault Systemes SOLIDWORKS. Video game world champion and whisky advocate. I like turtles.